Midweek freediving courses have been offered by Go Freediving for a number of years and are very popular. If you’ve been thinking about starting freediving or even progressing, but just haven’t found the right course, midweek freediving courses may be the answer. Want to know why? Read on! At Go Freediving our courses are structured so that the certification can be completed over the course of two days. 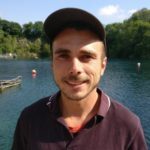 This intense learning package is a fantastic way to gain a thorough understanding of the techniques and skills needed to successfully freedive. All of our RAID Freediver courses, whether they are weekend freediving courses or midweek freediving courses are suitable for all levels, all ages (12 years and up) and all abilities (medical questionnaire permitting). We offer the best instructor to student ratios and safety and enjoyment are our major priorities. 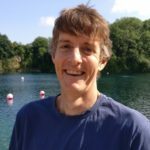 Our courses are friendly, relaxed and run by the world’s most experienced instructors who are passionate about the sport and are incredibly motivating and encouraging to all. If you are itching to get in the water, the chances are most course providers will offer weekend courses or lengthened courses once a week in the evenings over the course of several weeks. This can suit many people, but for those juggling families, giving up your weekend or evenings with the family – or finding childcare on weekends while you pursue your new passion can be difficult. However, during the week this is different, additional childcare arrangements with your existing childcare provider are often easier to organise or may already be contractually in place, or your child is of school age, has access to after school clubs and wouldn’t even know you’re about to become a secret breath-holding superhero! It’s no secret that hotels, bed and breakfasts and hostels are cheaper midweek. 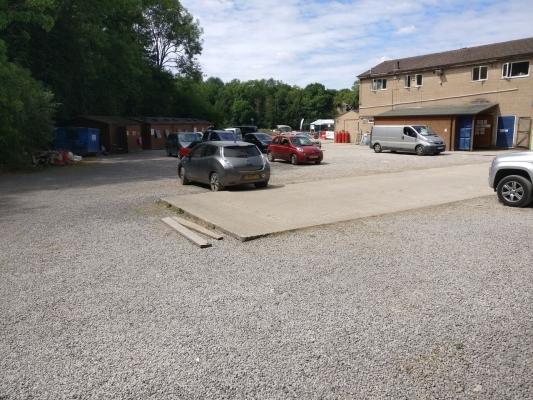 So, if you are travelling to one of our midweek freediving courses, you’ll know you’re very likely to get a better deal where you are going to stay. In fact, the cost can be so much cheaper, you might as well stay another night and make a mini break of it! One student from this course, Rachel, used it as an opportunity to take a week off work, visit her family and chill out. There are a huge range of accommodation options nearby, from camping to boutique hotels and we send you out a comprehensive list when you book on your course. Travelling (outside of rush hour, of course) during the week can be an absolute pleasure and if you are travelling off peak on public transport is even cheaper! You can also sit quite smug as you watch everyone else going to work while you are going to have an amazing time learning to freedive! Now this is a huge benefit! 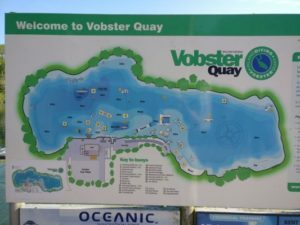 Our dedicated dive centre Vobster Quay is very popular with divers and swimmers – and when you get there it is very easy to see why! Divers love this place so much that on weekends it is not unusual to sit in a line of traffic waiting to get in. During the week? A completely different story. You can get straight into the centre, park next to the amenities and be in the water within minutes. 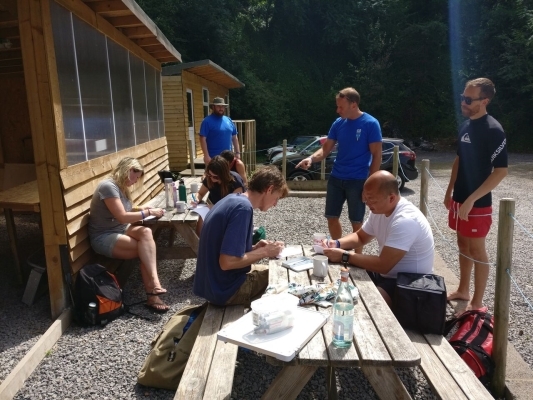 At Go Freediving, we pride ourselves on having an unrivalled instructor to student ratio, but can have several student groups running on the same day with our different instructors. 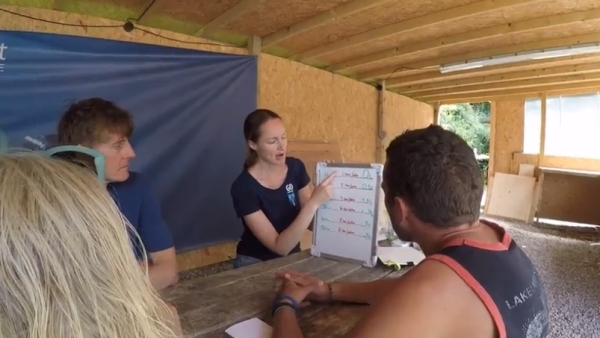 However, most of our instructors work during the week, so numbers on our midweek freediving courses are always kept to a minimum to ensure we maintain our unrivaled student to instructor ratios. 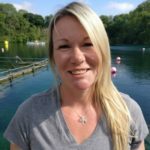 At Go Freediving, all our our instructors have been trained, mentored and hand selected by Emma, so offer complete consistency and attention throughout all of the courses we offer. 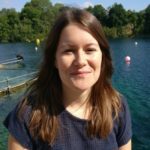 Emma regularly teaches the weekend courses, however (*extenuating circumstances permitting) commits herself to all midweek freediving courses often with the assistance of one or two assistants. If you’re a shift worker, you will often find you are missing course opportunities because the bulk of your working week falls on weekends, or weekends off are actually so rare, it is difficult to find time to take the courses you want. Midweek freediving courses over two days are often a perfect option. R0nnie, one of students from this midweek course works in the restaurant trade so weekends are his busiest time. Another student, Sam, works weekends as a SUP (Stand Up Paddleboard) Instructor so for both of them, midweek freediving courses were their only option for learning to freedive! At Go Freediving we often do not publish midweek freediving courses until we receive an expression of interest from someone. As soon as we do, we publicise a potential up coming course and when we have the interest (which is usually pretty quick!) we post a negotiable date and organise the best possible date for all interested individuals. Most of our midweek freediving courses are held outside peak season/school holidays, but where the weather is still pretty good. June, July and September are the most popular times for midweek freediving courses. 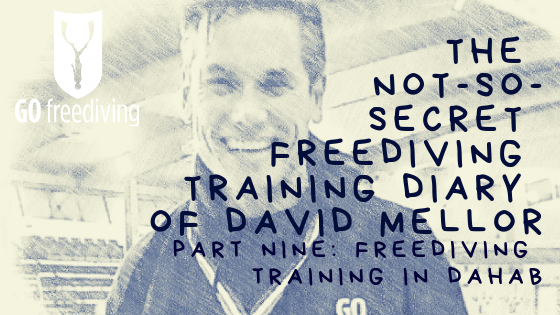 Many students who have taken a freediving course still have some skills to master. Going away and practising those techniques and then joining one of our midweek freediving courses for one or two days (whatever they feel they need) is a great way to complete the course without impacting on another weekend. On our most recent course, Michelle and Peter came back to practice and perfect some of the skills they have been working on since they attended their courses. Michelle works for an airline and teaches mermaiding on the weekends, so for her, being able to get more instruction during the week was perfect, and Pete worked his shifts around the midweek date too! The main reason I did this course was because I do a lot of surfing and wanted to be more confident underwater, but I really enjoy spending time in the water too. I knew the midweek course was coming up and I really wanted to do it. It was the first convenient time, as I spend a lot of time working. I had two days off and I could have gone to Yorkshire for a sheep shearing competition, but I thought I’d rather come here instead and do this. It seemed like a good opportunity. 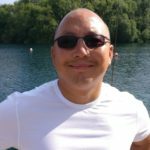 I chose Go Freediving because it was local. I’ve been freediving in Bali before on a two week holiday, and this was the first centre I have seen offering it here, so I thought I’d give it a go. I did well on the first day, but on the second day I had trouble equalising, which was frustrating but the instructors said I just need to try again later, which I’m going to do. I changed from the Frenzel to the Valsalva which helped a bit, but I think I still have a mental block. I can reach the point where I have the problem equalising and then struggle to visualise getting past that. I like the relaxed atmosphere. It seems very calm here – which is nice. The water is really clear and comfortable. Before when I did freediving it was in the sea, it was very choppy and it was really difficult to get into a relaxed state before the dive. The benefits of doing this course are it improves confidence and it helps you overcome mental barriers. For example, yesterday I was having contractions because you feel like you have to have a breath, but when you realise you can push through that, you actually start calming down and you can go further than what you first realised and you can push yourself further than what you were capable of. I would definitely recommend this course to anyone who is brave enough to get in and have a go. I’ve had friends ask about it and I tell them it is very rewarding, just being more comfortable in all aspects, not just in the water, but in your everyday life as well. I think those two things are pretty much tied together. The reason I did this course is because I love the water! I have done a lot of scuba diving and also, having known David Mellor and seen his transformation over the years since he started freediving. I said to him recently ‘one thing I notice about you is that you never get angry and nothing ever annoys you!’ He was so calm about everything and he just smiled and told me about freediving. So, the main reason I did the course was because I have difficulty relaxing. Even if I have a day off, I still think about work or need to be doing something and Dave convinced me to try freediving and it is something I have always wanted to do. There are always restrictions around my work at the weekend as I run restaurants, so weekend courses don’t really work for me so David told me about the midweek course and I thought I would do it. My timetable is more flexible at the start of the week than at weekends – because that is my busiest time of the week. I can take time off then, but invariably I am thinking about what is going on with the business in the restaurant so my mind is never really here. During weekdays I find it easier to not worry so much. It has a massive advantage for me having midweek freediving courses. 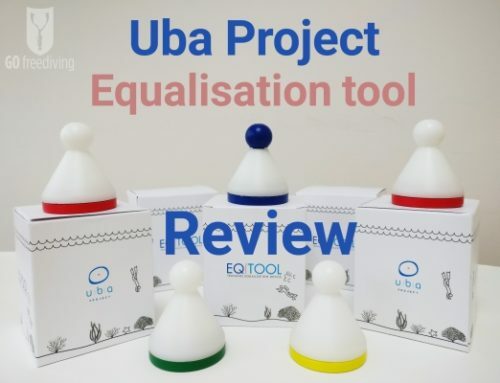 The biggest thing I have discovered doing this course is that you have to be relaxed, because if you’re not it is the difference between going down an extra metre or coming up early. Yesterday when my breathing was supposed to be relaxed, it wasn’t – even though to me, it was. Which tells me again, I can’t relax. I have been so unrelaxed for so long, it is difficult to remember what relaxed means anymore. If this location was closer, I would do this all the time. I could even stop going to the gym and just do this! I would love to do it, to be honest. It’s teaching me something new in my life – like relaxation! 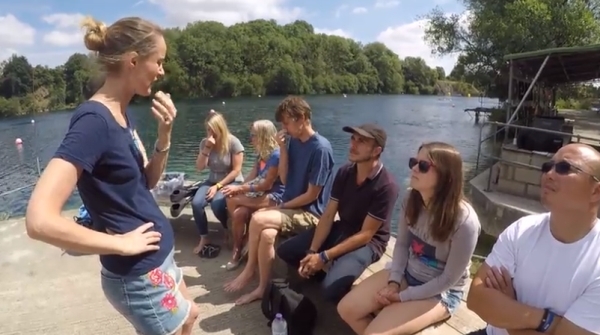 The thing I liked most about the course was the interaction – meeting new people who want to freedive. I like to see the different abilities and seeing what someone else is doing next to me spurs me on as well. And also David, it’s good to see people like him because he is a great model for this type of sport. I watch his Facebook videos and see his achievements and it is amazing. I find it fascinating. I don’t think I’d ever get to that level, but I believe that if I can come away from this and remember how to relax again, that’s good. You know when you’re relaxed because you dive well. I lived on a reef in Australia for a year when I was travelling and snorkeled every day, straight off the beach. And then I came back to England and was a bit depressed and needed to get back in the water! I started scuba diving last year but found myself quite stressed under the water and thought that’s not how I remember feeling under the water snorkeling and I thought ‘I’m not enjoying this, why don’t I try freediving?’ so I just booked on to the course! I spent a long time Googling and I looked at London and I came to your page and I saw Somerset-based, Vobster and thought I’d rather come to Somerset and do it here than pay someone in London where it is a bit stressful and a bit hostile (or that’s how I found scuba diving anyway), rushing to a pool after work and so on. Midweek freediving courses give me a chance to relax. It gave me an excuse to book a week off work, come down, spend some time with family, just be back out in the countryside and chill out. I’ve discovered freediving definitely helps me be a lot more relaxed. I found yesterday, pulling down the line, there was just nothing going through my head apart from my hands and the line. My head is usually busy, so it was incredible! And just feeling much safer, more natural, just chilled! I’ve loved everything about the course. I never thought I would get down to 6 metres. When I looked from the top yesterday, I thought ‘no way. I’ll never get down there!’ and I got down there and I wasn’t pushing myself I was just there. And floating back up to the surface was incredible! 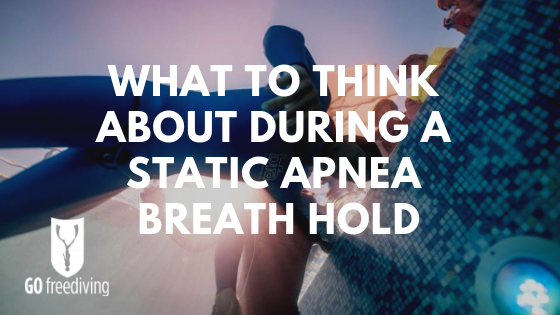 The benefits of doing this course with you is that you are all very patient, you are obviously all knowledgeable because you are all good freedivers but you are so patient and I haven’t felt pushed in a negative way at all. I’ve just felt confident about taking the next step and also doing a freediving course in general. I think the biggest benefit is the relaxation. I booked to go on the blue sharks trip with you and I just wanted to spend as much time underwater as possible and spend time with the sharks rather than being on the surface. Midweek freediving courses appeal to me because I work as a stand up paddleboard instructor. Because of teaching, weekends are booked up until September so I wouldn’t have been able to get on a weekend course so midweek suited me perfectly – and it’s quieter and it’s nicer! 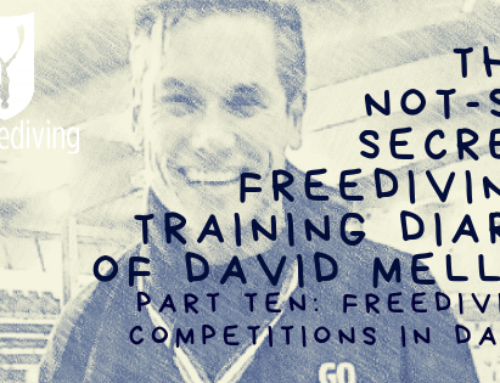 I’d seen Go Freediving on Instagram and Facebook and I just loved all the students comments. It looked really relaxed. I’d also spoken to you. You also do the holidays too, so it’s not just about coming down and learning to do something. It’s having a purpose. I can come down and learn with you and go off on a really cool holiday as well. So the two combined seemed to make perfect sense. There’s no point training with anyone else. Plus I’ve just been told you’re the authority on freediving and helped write the manuals so I picked the right school! This course is so relaxing. I thought it would be. 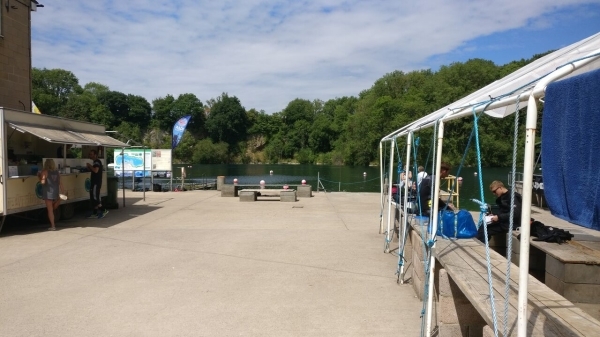 I’m used to going in the sea, but this was in a quarry, so I was a bit apprehensive about going underwater, but it’s amazing! It’s so tranquil. You’re so relaxed! I’m really enjoying it. Over the two days, what I have enjoyed most is being under the water, good instruction – which is helpful, but actually, spending time underwater and progressing. Yesterday I was a bit unsure that I would be able to equalise. Today it is working perfectly. I can just relax, chill out and enjoy. The benefits of this course is that it is super relaxed, super chilled, there’s no pressure – which for a lot of courses you can feel like you are being rushed through everything. The instructors are really relaxed and chilled which helps. The student to instructor ratio is really comforting because you feel like you are getting individual tuition constantly. You never feel like you are on your own. You’ve always got someone with you and the group is really small, so you can ask questions. And I like asking questions, so can ask as many as I like! And the kit you provide for the course is good quality, fantastic, comfy and warm. Freediving has always appealed to me. I have done snorkeling and a little bit of scuba diving, but my friend Nic has been freediving for a long time and the way she talks about it, I thought ‘I’ve just got to try this’ And, I’m finally getting around to doing it, and loving it! Because I am self employed and it is not an issue for me when I work, the appeal of midweek freediving courses is that they are quieter. I haven’t done any formal training for a very long time – more than 20 years, so I have found myself over thinking things, which is frustrating because I want to do things really well, straight away – which everyone does, but I know I am progressing and getting it right, so that is the important thing. I am incredibly impressed with where we are diving. What a beautiful place and beautiful water! I’ve done diving in some really unpleasant water, but this is just fantastic! And I know from what Nic has told me that you know what you’re doing which is reassuring. 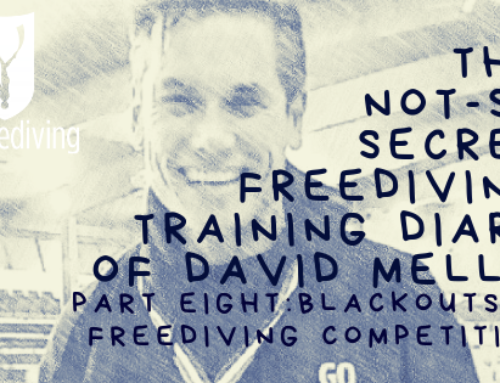 It is essential to do a freediving course if you are going to freedive. It is just crazy not to do it – you’re asking for trouble. I’ve done other exciting sports and would not do them without the correct knowledge. As I expected, freedivers are rather like rock climbers – they are a friendly bunch and I see a lot of similarities. It is the same bonding process, you get the same synergy with your buddy as you do with rock climbing – which I found really interesting. I’ve always done loads of sports, but because of health issues I have not been able to do what I want to do anymore. 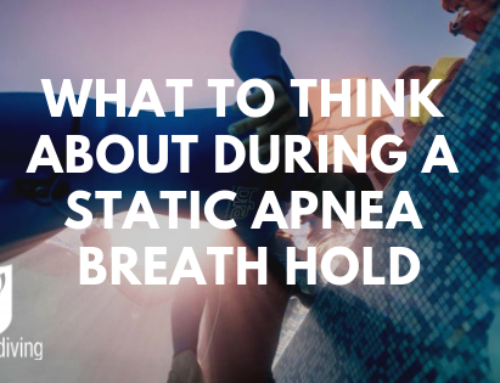 I know that freediving will suit what I am able to do because it is about calmness and relaxation, and this is so exciting for me because I can do an exciting sport again without having to really exert myself. If you want to attend a midweek freediving course then get in touch with us now!